Sutter Cancer Center, 2800 L Street, 1st floor, Classrooms 1-4. Lt. Stephan Thorne of the San Francisco Police Department. He is the highest-ranking out transgender law enforcement official in the country, according to San Francisco Police Commission President Theresa Sparks, who is also transgender. Thorne is one of the top-ranked LGBT officers in the SFPD. Lieutenant Thorne spoke about safety awareness and interacting with your local police. Assistant Commander Lt. Rosanne Richeal discussed measures being taken by local law enforcement and how we can help improve our personal and public safety. David Nylund PhD, MSW discussed from a counselor's perspective personal safety, avoiding danger and coping with the emotional trauma of abuse, harassment and violence. 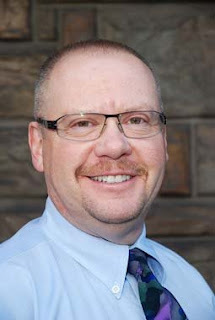 Dr. Nylund is an author, associate professor of social work at California State University, Sacramento and a leading clinical supervisor of counseling services to the Sacramento gender community. Self-defense instructor Midge Marino gave a workshop on self-defense and personal safety techniques. Midge Marino is a self-defense expert and Kinesiology professor at California State University, Sacramento.